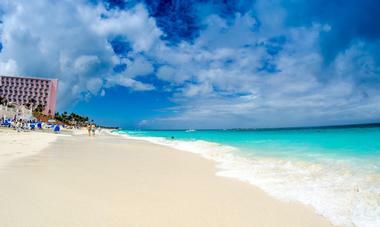 Nassau is home to some of the world’s most beautiful beaches. Miles of white sands, clear water, and sunshine for 300 days of the year make it a beach lover's paradise. Once you are done relaxing in the sun, visit an array of unique attractions, including the Clifton Heritage National Park, Ardastra Gardens, the National Art Gallery of the Bahamas, the Primeval Forest National Park, Parliament Square and Fort Charlotte. 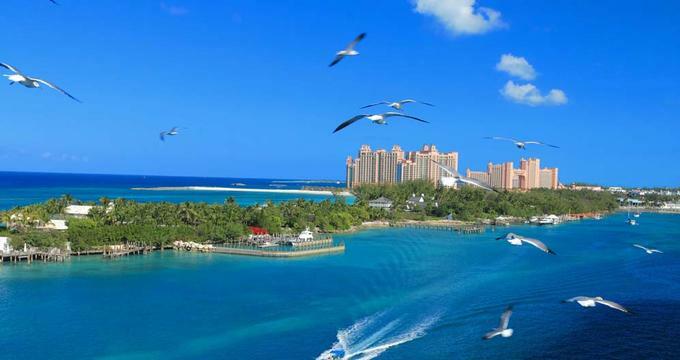 Here are the best things to do in Nassau, Bahamas. Nassau Paradise Island features a variety of beaches for every occasion, whether you are looking for a quiet, secluded spot to relax with a book or join the sun-worshippers and people watch – there is a beach activity for everyone. The sea is filled with bright, colorful coral reefs so snorkeling, swimming, and scuba diving are a must while the resorts offer an array of water sports from jet skiing and windsurfing to sailing, kayaking, and deep-sea fishing. End the day on the beach as you sip cocktails and enjoy dinner under the stars with your toes in the sand. Based at Atlantis Paradise Island, Aquaventure Water Park is an incredible aquatic park that promises a world of fun for the whole family. Spread over 141 acres, the park features a range of thrilling rides, themed adventures, and fun-filled activities, from Atlantean-themed water towers and high-speed water slides to eleven swimming pools and a mile-long river ride complete with rolling rapids. 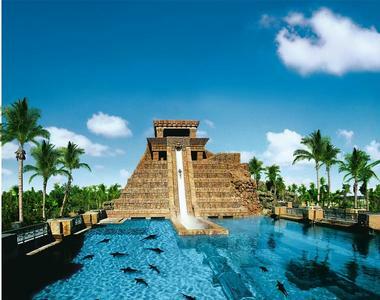 Aquaventure Water Park is one of the best things to do in Nassau, Bahamas. Younger kids can enjoy a fantastic children’s water-play fort and more than twenty swimming areas cater to all ages and levels of swimmers. Exhilarating water slides and rides include the iconic Mayan Temple and the pulse-pounding Power Tower, while the river offers surges, waves, and other excitement for tube-riders. Voted one of the best amusement parks in the world, Aquaventure Water Park is a must-do when visiting the Bahamas. Blue Lagoon Island (officially known as Salt Cay) is a spectacular private island that features a tranquil lagoon, great beaches, and an array of water and land-based activities for the whole family to enjoy. Located just three miles from Nassau and easily accessible by boat from Nassau’s historic harbor, the island has everything you would expect from a tropical island, from swaying palm trees, white sandy beaches, and gin clear waters to lush natural vegetation, bright tropical birds, and colorful coral reefs. Visitors can enjoy a range of water sports, including snorkeling, scuba-diving, water-skiing, fishing, and sailing and the island is home to the dolphins and sea lions of Dolphin Encounters, where visitors can interact with dolphins and sea lions in an all-natural ocean habitat. Established in 1937 by Jamaican horticulturist Hedley Vivian Edwards, Ardastra Gardens, Zoo and Conservation Centre was the Bahamas’ first zoo and is now home to over 200 animals. Located in the heart of Nassau, the center is spread over more than four acres of lush tropical gardens that are inhabited by a wide variety of mammal, reptile and bird species, including the Caribbean flamingo, the Bahamas’ national bird. The now endangered Caribbean flamingo was introduced to the island in the 1950's, beginning an extremely successful breeding program that is still in effect today. The center is surrounded by tranquil, restorative gardens, and visitors to the zoo can enjoy close encounters with more than 135 of the center’s collection of animals. Visitors to the beautiful Blue Lagoon can now enjoy a once-in-a-lifetime opportunity to interact with sea lions with a Sea Lion Encounter. Operated by Dolphin Encounters, the thrilling encounter gives brave guests a chance to witness sea lions live and close-up in their own all-natural marine habitat, guaranteeing unforgettable and everlasting memories. After a short orientation and safety chat from professional handlers, visitors stand on specially designed, waist-deep water platforms in the calm lagoon to touch, feel, play, and hug these affectionate marine mammals. Professional on-site photographers will capture the moment for you take away forever. Spaces for Sea Lion Encounters are limited and need to be booked in advance. Fondly known to Nassau residents as "The Fish Fry," Arawak Cay is one of the best places to immerse yourself in the Bahamian way of life – kick back and relax with a beer, enjoy a traditional Bahamian meal, or chat with the locals. Located on West Bay Street in Nassau, Arawak Cay was built from sand dredged from Nassau’s Harbor in 1969 and is home to an array of authentic Bahamian restaurants who have been serving traditional island fare and colorful drinks to match ever since. Two favorite places on the Cay are Twin Brothers and Goldie's Enterprises whose fried "cracked conch" and famous Sky Juice (a tasty Bahamian mix of gin, coconut milk/water, sweet milk, sugar, ground cinnamon and freshly grated nutmeg) attract both locals and visitors alike. While conch is the order of the day, Arawak Cay is a great place to try seafood delicacies such as grilled shrimp, lobster tails, and fried snapper. Established in 2004 by the Clifton Heritage Authority, Clifton Heritage National Park is a 208-acre public park that showcases the historical and cultural legacy of the Lucayans, the Loyalists, and the African civilizations. Located on the westernmost tip of New Providence, Clifton Heritage National Park is packed with spectacular natural landscapes, ranging from coastal wetlands and sandy beaches to rocky shores and ancient dunes. 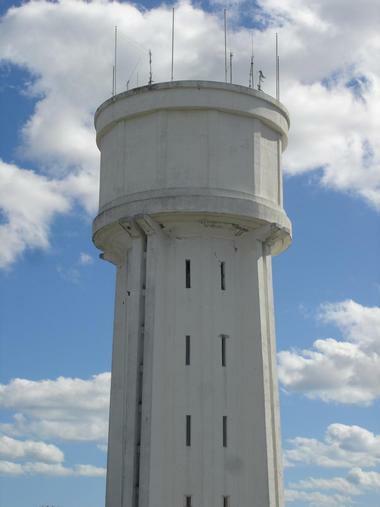 It also offers an array of activities for outdoor enthusiasts, including hiking and walking trails, wildlife and bird-watching, boating, fishing, swimming, and snorkeling. The park is dotted with a variety of historic stone walls, sites, buildings, and ramparts, such as the Great House, Clifton’s Stone Wharf, Johnstone Well, and the limestone passage of the Stone Steps. 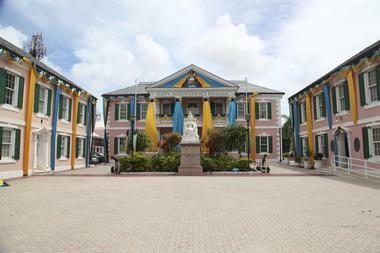 Built in the 1860s and housed in the historic and beautifully restored Villa Doyle, the National Art Gallery of the Bahamas is home to the National Collection of Bahamian Art. While the collection concentrates mainly on Bahamian artists, visitors can also see exhibits of late 20th-century sculpture, ceramics, paintings, photography, textiles, and other mixed media. Learn all about the history of piracy in the Bahamas at the interactive Pirates of Nassau Museum. Located in the harbor in the heart of downtown Nassau, the museum is based on a model of the famous pirate ship "Revenge," which visitors enter to explore the dark and mysterious world of pirates. The lower decks of the ship feature a stowed cannon, swinging hammocks, and models of pirates going about their daily business. Visitors will come face to face with notorious pirates Anne Bonny and Mary Read in a beachside shantytown, and a small store sells a range of pirate merchandise to purchase and take home. 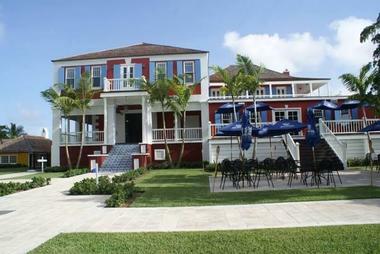 Tucked away on the Graycliff Hotel’s historic property in downtown Nassau, Graycliff Chocolatier was the Bahamas’ first interactive chocolate factory and offers a range of chocolate making tours and workshops, and they sell a wide selection of handcrafted chocolates. The famous chocolatier provides a variety of interactive experiences for both children and adults, as well as tasting tours that highlight the chocolate making process from bean to bar. Make your own cacao masterpieces and learn how to glaze and dip and combine unique ingredients such as mango, lime, and chili with chocolate. Dating back to the 18th century, Graycliff is a magnificent property steeped in history, romance, and glamor, boasting the only five-star restaurant in the Caribbean and one of the largest private wine collections in the world. Spend an unforgettable hour with stingrays in their natural habitat at Stingray City Bahamas. A short comfortable boat ride takes you to Stingray City Park, which is home to numerous Southern Rays and the base for the Stingray City Bahamas Snorkel Adventure. Known as the “puppy dogs of the sea,” Southern Rays are extremely docile, do not have a barbed tail, and are always looking for attention, making for a positive marine interaction. Spend an hour petting, feeding and touching these incredible creatures as you learn more about them and their way of life. The encounter includes feeding, snorkeling, and swimming with the rays, as well as many photographic opportunities, which can be purchased to take home at the end of the experience. Explore Nassau’s exotic and vibrant culinary scene with a Tru Bahamian Food Tour. Escape the crowds and venture into some of the city’s secret spots where you can enjoy the sights and sounds of beautiful Old Nassau, soak up the city’s rich culture and fascinating colonial history, and savor some of her best cuisine – all at the same time. Knowledgeable and friendly food tour guides lead the tours and will take you to some of Nassau’s best-kept secrets, from corner cafés and tiny eateries to unique specialty food stores and ethnic restaurants. Tours include mouth-watering food tastings of soul-warming Bahamian classics and a chance to meet the creative masters behind the dishes and learn more about history and culture of Old Nassau. Guests will also be given exclusive tasting location coupons and a signature recipe collection to take away with them. Tru Bahamian Food Tours are held Monday through Saturday year round and need to be booked in advance. 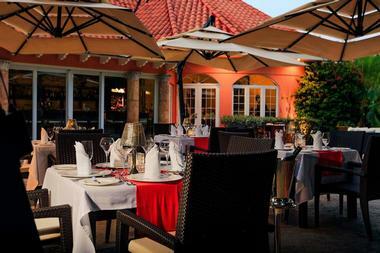 Located on the Sapodilla Estate, Sapodilla is a fine dining restaurant that is renowned for its stunning surroundings, superb cuisine, and outstanding service. Floor-to-ceiling windows look out onto breathtaking garden views, and interiors are decorated in soft, calming tones of creams, pinks, and blues to create and island-style ambiance. Using fresh, local ingredients, chefs prepare dishes with passion and flair, taking diners on a culinary journey around the Bahamas. Constructed in 1815, Parliament Square is a beautiful colonial plaza that is home to the government’s House of Assembly, the Supreme Court, and the offices of the Leader of the Opposition. The flamingo-pink government colonial-style buildings that surround the square are modeled after those found in the old capital of North Carolina, New Bern, and a statue of Queen Victoria, which was erected in 1905 in honor of her birthday, stands sentry in the front of the Senate building. Those interested in politics can visit the House of Assembly when it is in session and watch lawmakers debate from the gallery. Situated behind the Senate building is the Supreme Court, which dates back to 1921 and holds quarterly meetings where Bahamian judges and lawyers dress in traditional British wigs and robes. 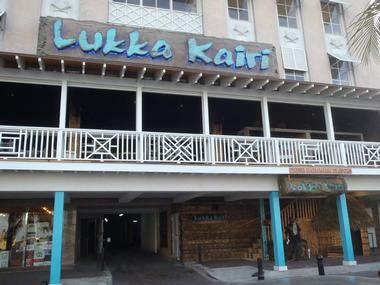 Overlooking historic Nassau Harbour, Lukka Kairi is a vibrant seafront eatery that serves Nouveau Bahamian Cuisine. Dedicated to bringing the flavors of Bahama’s 700 islands to the table, Chef Monica Hutchinson uses the best of Bahamian bounty to create dishes that are both authentic and modern, while the bar serves an array of colorful cocktails to match. Sharing plates are a specialty and range from conch fritters and shrimp and grits to curry lentil patties and roasted cauliflower. Signature dishes include old-fashioned conch chowder, spiny lobster roll, whole grilled snapper, and tropical chicken curry while sweet treats include coconut cheesecake, chocolate mousse parfait, and pumpkin spice ice cream with salted pepita brittle. Live Bahamian bands play in the background, adding to the Bahamian atmosphere. Located on a hill overlooking the far west end of Nassau’s harbor, Fort Charlotte is a British-colonial era fort that was constructed in the late 18th century. Built in 1788 by British colonial governor Lord Dunmore after the American Revolutionary War, the fort was named after King George III’s wife, Queen Sahara Charlotte, but it never played a role in battle. Spanning 100 acres, the fort features a moat, myriad underground passageways, tunnels, and dungeons, and 42 unfired cannons. Bahamian Cookin’ (formerly known as Bahamian Kitchen) is Nassau’s oldest and only Bahamian restaurant, and they offer a menu of authentic and traditional island food. Family owned and operated by three generations of Bahamian women since 1986, Bahamian Cookin’ is located off Market Street in Downton Trinity Place and is open for breakfast, lunch, and dinner. They offer a variety of specials throughout the week. Signature dishes on the menu include the “conchiest” conch fritters and old-fashioned conch chowder, cracked lobster, baskets of grilled or fried shrimp, and steaming barbecue ribs. Seafood platters are ideal for sharing, and meals are accompanied by an array of sides. Bahamian Cookin’ is packed with locals during the week and see the cruise ship visitors lining up over the weekends. Home to John Watling’s rum known as the “Spirit of The Bahamas,” John Watling’s Distillery handcrafts its namesake rum and other spirits using local materials and traditional English rum-making methods. Located on the famed and hallowed grounds of the 1789 Buena Vista Estate in historic downtown Nassau, the distillery offers complimentary production and museum-like tours where visitors can learn more about the rich history of the estate and the role it played in Nassau’ rum production throughout the centuries. The tour also offers visitors a chance to taste some of the world’s finest rums and other spirits infused with Bahamian flavor, and they have signature tastings at the Red Turtle Tavern. The distillery also has a small shop with merchandise and gifts to purchase. 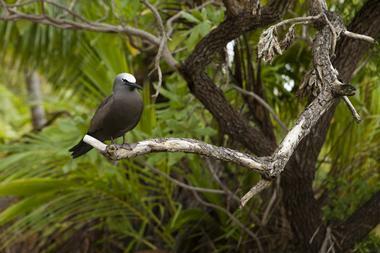 Covering 7.5 acres of hardwood forest in the southwest portion of New Providence, the Primeval Forest National Park is a relatively undisturbed, old-growth forest that is a living example of the early evergreen tropical hardwood forests of the Bahamas. Established as a National Park in 2002, the park features an incredible diversity of plant and animal life, as well as spectacular natural wonders such as sinkholes and 30-foot deep limestone caverns.